Medicare has been mailing new Medicare ID cards to Washington state beneficiaries since September and scammers are taking advantage of this opportunity to commit fraud. Ask for your bank account information so you can pay for your new Medicare card. Ask you to confirm or give your personal information to get your new card. Ask for your old Medicare number (which was your Social Security number) to prevent your Medicare coverage from being interrupted. They are FREE! You do NOT pay for your new card and you don’t have to do anything to get it. Medicare will automatically mail your new card to you. 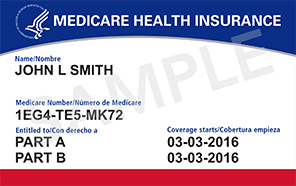 You can sign up to get an email from Medicare to know when to expect your card in the mail. You do NOT need to give any personal information to get your new card. The cards are mailed to the address you have on file with Social Security. You can update your address online, call 1-800-772-1213, or visit your local Social Security office. Your Medicare coverage will NOT be interrupted or stopped because your new card’s being mailed to you. In general, Medicare will never call you uninvited and ask for your personal information, or to get your new Medicare Number and card. If you receive a call or email that seems suspicious, do not share any information. Hang up and call our Statewide Health Insurance Benefits Advisors (SHIBA) at 1-800-562-6900 to report the incident. In addition to providing free, unbiased help with your Medicare options, SHIBA is Washington state’s Senior Medicare Patrol project. We help clients prevent, detect and report Medicare and Medicaid fraud and abuse.